Woodfuel can be obtained from thinnings, coppicing, sustainable woodland management and from tree surgery. 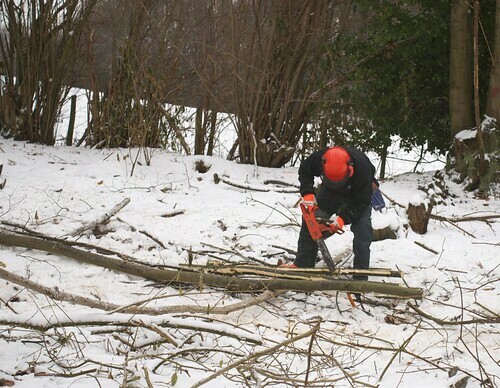 If you are fortunate enough to own some woodland, and can fell your own trees, it is best to fell the trees in the winter while the trees are dormant, before the sap has started rising. This means the trees will have a lower moisture content and will therefore season more quickly. It is important to avoid nesting season, which starts early Spring. If you are felling larger and older trees, be sure to check for bat roosts as it is an offence to damage them. 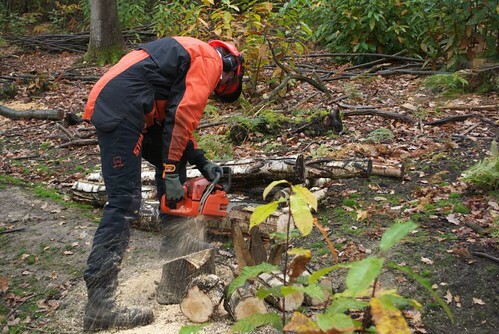 It is essential to wear the appropriate safety gear when working with a chainsaw and strongly advised that the operator has attended a course. There are many excellent instructors, who will be able to teach safety and maintanance of the saw, felling and woodland management. Trees are extremely unpredictable to fell and training can reduce the risk. There are many different ways to cut and store the your firewood. Many people find it is easiest to cut the timber into uniform lengths for ease of storage and and haulage - usually 2 - 3m. 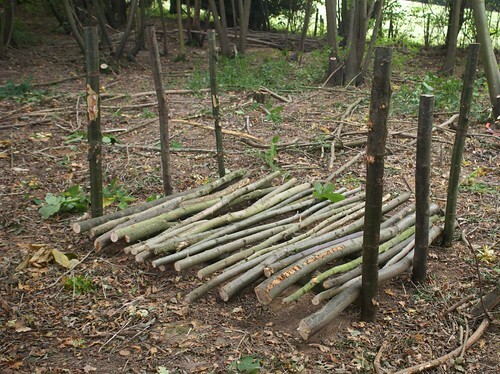 The wood will dry much better if it is kept off the ground on bearers and will stack more easily if you put some posts into the ground to hold them in place. This means you can stack the wood higher and use less ground space. The wood can stay in the racks until moving them in the summer. 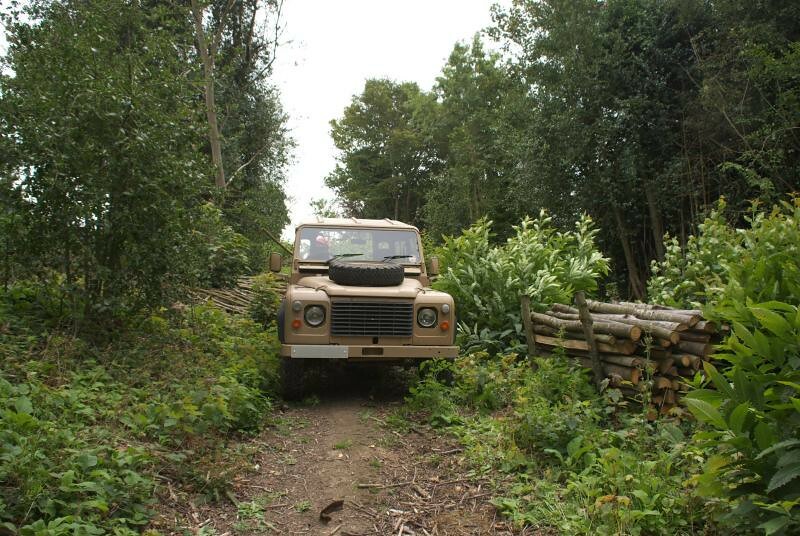 The benefits to moving the wood in the summer include nice dry tracks and extraction routes and lighter logs to move! Large logs take a lot longer to dry out. 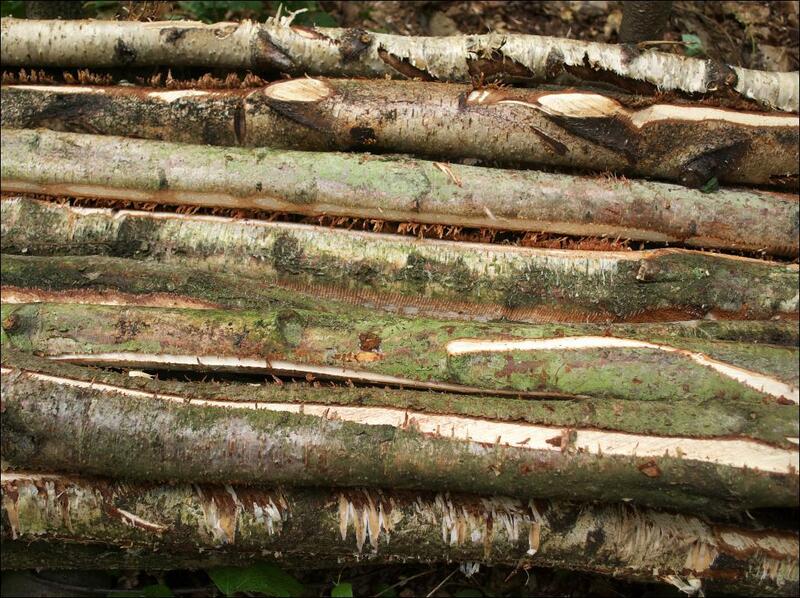 One method which would help with drying time is to stripe the logs with the saw. This involves running the saw along the length of the log cutting through the bark. 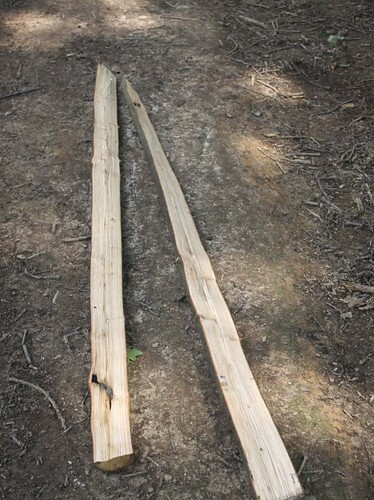 The log will dry out more quickly as the moisture can escape from easily from the length of the log. This is especially important with silver birch. As it is easier to stack logs in longer lengths than when they are cross cut, you may want to split some of the larger logs. This will again improve the drying time as well as make heavier logs easier to move. Splitting wood in longer lengths for drying can make moving the wood around and storage easier. When needed it can then be cut to the correct lengths for the customer. My Father's winter work was as a woodcutter, this was before the days of chain saws. All his cutting was done by axe and then split into lengths for making fence posts and fencing, in particular snow fences. As children and young teenagers we would help out trimming branches off before Dad used a saw bench to cut them to lengths before then splitting them and trussing them into bundles ready for market. The main types of trees used were Ash and Hazel. Dad had to attend Auctions to bid on areas of woodland. all this took place around the Eastling area in Kent.